Got a question? Chances are someone else asked it as well. Check out our handy FAQ to see responses to commonly asked questions. How long will Pauls products last once opened? Pauls products should last until the use by date printed on the packaging, as long as the product has been stored and handled in the correct conditions. See the below Q&A for tips on the best way to store and keep your Pauls products deliciously fresh. Do not consume Pauls products past the use by date, or if you have any concerns or doubts about whether it is fresh to consume. What is the best way to store my Pauls products? Put your Pauls products into the fridge quickly after purchase, and store them in an upright position. Make sure your fridge is set at less than 4°C, and we recommend you don’t store your Pauls product in the door of your fridge – the door can be as much as 6°C warmer than the rest of the fridge! Can I freeze Pauls fresh milks? All Pauls fresh milks, excluding PhysiCAL Milk, Buttermilk and Unhomogenised Organic Milk, may be frozen and thawed. All frozen milk must be thawed slowly and completely in the refrigerator. Can I freeze Pauls dairy products, such as creams, yoghurts and custards? 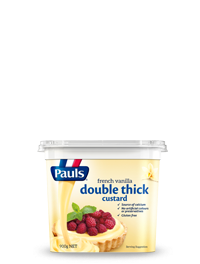 Pauls Thickened Creams, Pure Creams, Custards and Kids Yoghurt Pouches can all be frozen and thawed. All frozen products must be thawed slowly and completely in the refrigerator. 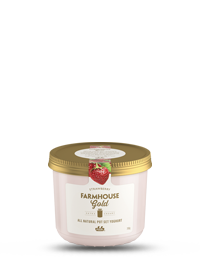 Pauls Yoghurt in tubs or pots, Sour Cream and Dollop Cream cannot be frozen. Are Pauls products Australian made? Pauls products are made from 100% Australian milk, right here in Australia. Do Pauls milks contain permeate? All Pauls fresh milks are naturally permeate free. Milk (and other dairy foods) contain many essential vitamins and minerals, including calcium, magnesium, phosphorus, potassium, protein (amino acids), riboflavin, Vitamin A, Vitamin Bs (B1, B2, B6 , B12), zinc and carbohydrates. Are Pauls products suitable for children? Pauls products provide wholesome dairy goodness for children, with essential nutrients for growing bodies such as calcium and protein. However, some low fat or no fat milks are not suitable as a complete milk food for children under 2 years of age. Are Long Life products as nutritious as fresh products? 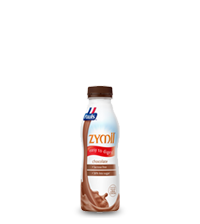 Long Life milk is just as nutritious as fresh milk, and is also a valuable source of protein and calcium. Longlife products are simply ultra heat treated (UHT) and sealed in sterilised packaging to give them a longer life. No additional preservatives are used in this process. Are lower fat milks just watered down? Lower fat milks (reduced fat & skim milks) are not full cream milk with water added. These milks actually have some or all of the cream removed to reduce the fat content within the milk. Pauls is proud to have a range of great tasting lower fat milks including Smarter White Milk (tastes just like full cream milk but with only 2% fat), Trim Milk, Rev Milk and Skinny Milk, plus many more! What is the difference between homogenised and unhomogenised milk? Homogenised milk has the cream distributed evenly throughout the milk. The milk is forced under pressure through a fine gap which evenly distributes fat particles through the milk. 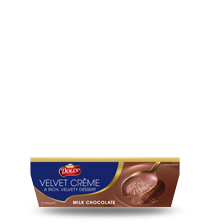 Unhomogenised milk will have a cream layer on top of the milk as it has not gone through the fine gap. Most milks in Australia, and indeed in the Pauls range, are homogenised. If you are specifically after unhomogenised milk, why not try Pauls Pure Organic Unhomogenised Milk, available in a 1L carton.